A lot can change over the course of the year and the all-new redesigned Pathfinder can attest to that. The incredibly spacious Pathfinder offers a 7 passenger seating capacity housed in 3 rows of seating. Feeling too cramped sitting in the way back? The Pathfinder offers class-exclusive reclining 3rd-row seating, just to provide a bit of extra comfort for those riding in the back. The perception of an SUV is usually that it’s a “gas-guzzler” but the Pathfinder hopes to shake that perception by offering a fuel economy of 20-city & 27-hwy. An SUV is regularly described as a family vehicle, Nissan has developed the Tri-Zone Entertainment Center with this in mind. Located in the headrests of the two front seats are two 7-inch dual monitors which can be controlled by the touchscreen radio located in the center of the dash. The all-new Pathfinder has proven year in and year out why it should be considered an elite vehicle. 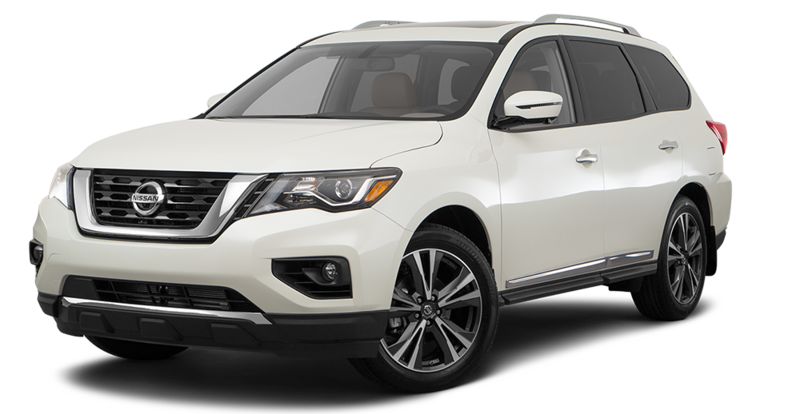 At Quirk Nissan located in Quincy, MA our expert staff is dedicated to finding you the perfect vehicle, and with a handful of various color schemes and vehicle models the opportunities to make a Pathfinder yours are endless. So come in and schedule a test drive today!